Together you will see better results. Learning to understand how powerful you become when you work together as this is the beginning of how you expand unity consciousness. It is dynamic and ever changing and helps you share your talents and build on others. Find your tribe, your group of trustworthy members, to help you create a better way. This begins by learning to support each other instead of tearing each other down trying to get to the top. Inspire others by your action. This is how to empower yourself and those around you. As you build this team, you will see better results in your manifestations and you will see that there is enough for everyone to be successful. Thought for today: Reach out and connect with your tribe. 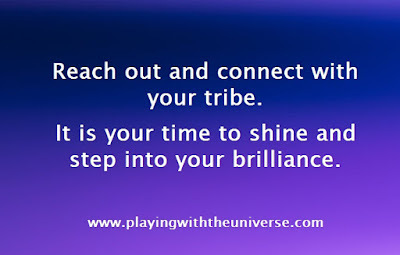 It is your time to shine and step into your brilliance. Start ~ Creator, Jennifer Farley. Please be aware that many, many things that you have held down are coming up to be released. It may not be pleasant or ‘easy’ and, to some, this may feel a bit like torture, but it needs to be released! Simply put, a shaken bottle can only hold pressure for so long. Allowing the process to follow its natural course will guide you to deeper areas of needed release. It may feel as if it will go on forever but, there is a conclusion, dear one. All the space left open will be filled with the Unconditional Love of The Universe and a new, lightness of being will become a part of you. The one thing you have to do to achieve this? Start! What Is a Positive Bias and How It Distorts Your Perception of Other People ~ Margaret B. What Is a Positive Bias and How It Distorts Your Perception of Other People. What is a positive bias, you ask? A positive bias is a tendency in humans to overestimate when good things will happen. There is even a specific use of the term positive bias in research. It refers to when someone in research only publishes positive outcomes. A positive bias is normally seen as a good thing – surely, it’s best to have a good outlook. But just because it is positive, it doesn’t mean we should ignore the ‘bias’ part. A positive bias is still a pre-conceived notion. These notions can be about abilities, personalities and values, or anything else. What matters is that they affect the way you view people, including someone you have never met before. Many people miss this because they assume bias must be negative. This is not the case – it can be positive too. A positive characteristic still affects the way you see and interact with people. A positive bias can be as harmful as a negative one. Any type of cognitive bias is unfair to the people who are on the receiving end of it. A bias, even a positive one, can restrict people, and keep them from their goals. It makes you act in specific ways, which is restrictive and unfair. People are individuals and they should be seen as such. Many of us fall into the trap of feeling good about our positive biases, don’t we? After all, they aren’t negative, so what harm could they be? Think about your biases for a moment. What do they tell you about the people you are going to meet? What do they lead you to expect when you meet someone new? Positive biases provide us with the illusion that we are tolerant, loving people. In fact, these positive biases are just the flip side of negative ideas and beliefs. They can be just as destructive to workplace relationships. A positive bias can trick us into thinking we have no problems. Unfortunately, any kind of bias can have an impact on the way we work. How you choose to see people – which bias you choose – determines your perceptions. A positive bias means that you put people in a different kind of box. It determines how you think about them. It determines how you react when they don’t act according to your preconceived notions. A negative bias means that you can react negatively when your preconceptions are shattered. A positive bias works in much the same way. A positive bias is still limiting, even if we don’t see it that way. It limits both sides of the bias. It keeps us from fully appreciating the beauty of humanity. It also keeps the subject of our bias from fully being able to be human. We put other people into tiny boxes because that works to make our lives easier. If we label someone, we can understand them. This is how a positive bias gets started. Labelling people with a positive bias means that you are much less likely to understand when they act outside the box. Or, to put it another way, labelling people makes it much less likely that you will understand their humanity. Using boxes is a shorthand for the huge numbers of people we are likely to meet throughout our life. It can serve a purpose in helping us store first impressions. It has limited uses, though. People rarely change their first impressions. A positive bias works in the same way; what you assume of a person is what you think of them. Unfortunately, a first impression is rarely enough to tell us about the person we meet. So much goes into an individual that only comes out with time. A first impression doesn’t give anybody enough time. It doesn’t matter if that is time to show people who you are or time to learn who other people are. First impressions are just that: first. They should not be the last. What you perceive is what you draw towards you. In the case of a positive bias, this means that you will only ever find bases of the bias appearing around you. This is limiting in its own way. You should try and avoid any such ruminations, as it means that you will lose out on a lot of what makes people who they are. Positive bias is better than negative bias. But that does not mean it is good to have. Biases keep up from fully realising the potential in both ourselves and the people around us. Rather than trying to make people conform to the specific stereotype we have of them, it is much better to simply let people be. Let them be who they are, and learn about the wonderful variety of humanity. 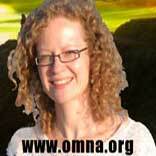 A Greater Purpose to Requesting Healing ~ Archangel Raphael, Natalie Glasson. A Greater Purpose to Requesting Healing. The Creator realised within my expression and energy, Archangel Raphael, the quality of healing, caring, the ability to help and soul connection and evolution. Helping and caring for people is in fact one of my many purposes; sharing the most essential energies to aid their growth. We can now see that every soul has the ability to heal because every soul can, if they wish to, devote themselves to caring for themselves, and caring and helping others through the process of anchoring the Creator’s energies of acceptance, transformation and love. I feel this message is very simple and yet vitally important because it helps you to realise how easy it can be to embody the light of the Creator, creating transformations in your life and the lives of others. There is a greater purpose to my current communication and encouragement of requesting healing for yourself. My purpose is to alert you to the transformation that is available to take place within humanity through the simple process of requesting healing. This transformation is the shifting and rebirth of your energetic vibrational pattern especially at a physical body level. humans hold the same consciousness which manifests within their physical bodies. With more people awakening and the vibration of the Earth quickening. The information, template or coded consciousness within each physical being is no longer appropriate or relevant to the current day ascension. This has been transforming for some time now, however, I, Archangel Raphael and my Angelic Healing Team wish to boost, transform or upgraded humanity’s template of existence held within their physical bodies in order for their physical bodies to equal the light of their souls. Many of you are already experiencing and receiving updates to your energies and the consciousness of your physical body. It is important to realise that this needs to happen on a mass scale. 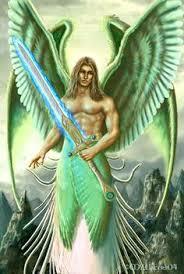 I, Archangel Raphael wish to support the release of pain, strives, suffering, negative thoughts and false beliefs held within the consciousness or cellular structure of the physical body of all from current reality and from generations ago. Now is the time to release old energies from the physical body and allow a new higher positive vibration and consciousness to anchor to support your soul’s development. If your physical body’s particles, cellular structure and physical manifestation hold a lower vibration then this will only ensure your vibrations remain at a lower level. By increasing the vibration held within your physical body you allow yourself to link into higher dimensions and assist in releasing the limitations and cloak of fear that obstructs and weakens humanity. Currently when people on the Earth are asking for healing, with the permission of their soul, we, the Angels and Archangels work with the energy of their physical body to allow fears and limitations from their own reality and that of the generations before them to be released, bringing a greater freedom to their energies. This manifests an improved health and vitality, a renewed vibrancy to their body and its function on a physical and spiritual level. It is simply a healing with focus on the physical body and releasing old energy patterns. This practice enables the person to create a consciousness within their physical body and cellular structure that is appropriate for them, gaining a greater sense of mastery. If you wish to experience this healing process to aid your spiritual growth and to assist in your physical body gradually being converted into pure Creator light, then you may use this invocation to assist in the healing and activation. I ask that you now channel the pure and blissful angelic and Creator healing energies into my energy and physical body. Please allow me to accept a higher vibration of light, a purer vibration of love and a new positive consciousness, anchoring this deep into my physical body, flesh, bones, blood, organs, DNA and cellular structure. Take time to imagine, sense or acknowledge the healing, rejuvenating and activating light flowing into your physical body, sit or lie in peace until you feel the process is complete. It is beneficial to practice this each day for 14 days in order to allow the transformation to occur within your physical body. It is important that over the 14 days of transmuting any negative vibrations and embodying positive vibrations that you invoke the Angels of Love from the angelic level to surround you and to channel their pure energy of love deep into your being. Ask for this at least three times a day, as it will ensure that you are supported and held in love, allowing all negative energies or consciousness to be released instantly and converted into love of the highest vibrations. greater integration with the soul of the Creator. THE EVENT - Sananda ~ Mike Quinsey's Higher Self. “THE EVENT” a Lord Sananda message extract through Elizabeth Trutwin. Aout 2000 years ago Sananda Kumara was incarnate on Earth as Jesus with the Master Plan in place to Ascend Earth. The Plan failed then as Caesar of Rome created Maritime Law making slavery the Law of the Land. A new Plan had to be made because the dark cabal had taken the Grand experiment beyond intentions. About 500 years ago the Rothchild’s in England hid the fact that Sir Francis Bacon was St. Germain incarnate on Earth. They had dark dealings with money and crimes which denied Sir Francis Bacon the throne. He would have been next in line as King of England and from that position able to make changes to heal the Planet and end Duality. In recent years the dark Cabal continued to wage worldwide war for their benefit, and have attempted multiple times to create World War III and have failed. Mass starvation, nuclear threats, land grabs, insider trading, mass psychological attacks like 9/11 and Banks too big to fail have led to a moment when the Galactic’s could intervene, because the one caveat in the Prime Directive has been violated beyond what is allowed. Earth is a Trinary Star System with Sirius A, Sirius B and Sol our Sun. Jupiter will be the next Sun in our Solar System. Earth is in the Photon Belt and moving into the Pleiades through the Central Sun Alcyone. A Super Portal has opened near Jupiter and it is a portal which operates like a wormhole and opens into the Light Matter Universe of On. This Multidimensional Portal allows in Super Charged Magnetic Light from On to enter into this Solar System and to Earth. Earth has raised an entire Octave since the Equinox in September 2013, and the new energy will make it possible for Earth to enter Zero Point. What is new about this Portal is a decision was made by the Council of Gods that Earth required this special dispensation as the best way to bring in changes. It carries with it a heavy reality. All has been done to allow as many Souls as possible to go on to New Earth. Since Earth is a Planet with Free Will, some have refused to make the necessary changes to remain on Earth beyond Earth’s Ascension into the Higher Realms. More Souls will be leaving than was anticipated. This is what Ashtar spoke of in a channel. The Super Portal is pouring in Higher Vibrational energies that act to buoy Earth into the Higher Dimensions. In these Higher Dimensions all living on Earth are able to access their Etheric Bodies and travel in their Merkaba Bodies and truly live multidimensional lives. In this High Energy the Light Cities will be accessible. Those not moving on to the New Earth will experience it as a vibration they cannot sustain within their 3D body. These darker denser energies will remain on 3D Earth and continue there. Their physical body will be projected on to 3D Earth and as far as they know no change has taken place. They will continue to deny the Higher Teachings and in their perception nothing will change. Those timelines will continue for now in duality. Meanwhile 5D Earth will be raised by the Cosmic Builders as a Space Ship rises away from its take off point and flies out of its atmosphere into deep space. Each of the Planets are firmly anchored in place by their energy Grids in orbit and relation to the Planets around them. This Super Portal will have the effect of Earth moving Higher in the Dimensions in the same way we move a bead up a string. It will drop the old Timelines and become Lighter and will exist Higher in the Cosmic Grid, it will bubble up. Much has been said by us about right timing. Divine Timing for the Event is one of the requirements. Ashtar always says No Dates, No Nukes, No Flukes. The truth is that there are windows of opportunity which come up only a couple of times a year in which the “Event’ can take place. This Super Portal speeds the changes in energy to make it possible for the “Event’ to take place. The likelihood that it will happen soon have been greatly raised since 11.11.13 with the Super Portal. If you are reading this and you repeatedly chosen to not take action and return to love, we will have to draw the line. If you have not been successful in raising your vibration to the minimum needed to sustain love you are invited to remain in duality awhile longer and rejoin Higher Dimensional Earth when you have prepared accordingly. There are no short cuts. Still there are No Dates, No Nukes, No Flukes. Nothing can stop Earth from Ascending. Top 19 Tips to Reduce Your EMF Exposure ~ Joseph Mercola. Top 19 Tips to Reduce Your EMF Exposure. 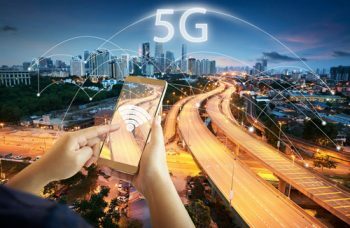 Exposures to EMF radiation from cellphones, Wi-Fi networks and “smart” devices has been linked to chronic diseases such as cardiac arrhythmias, anxiety, depression, autism, Alzheimer’s, infertility, mitochondrial dysfunction, DNA damage, eye and heart problems, chronic pain and suppressed immune function — and with 5G on the horizon, things are about to be magnified. Cumulative daily radiation exposure is associated with serious health effects, including cancer,21,22altered brain development in children and reproductive damage in men. Multiple papers have concluded wireless radiation is a human carcinogen; the International Agency for Research on Cancer classified cellphones as a Group 2B “possible carcinogen” in 2011,25 and two recent studies (one by the U.S. National Toxicology Program (NTP)26 and one by the Ramazzini Institute in Italy27) confirm its carcinogenic potential. Research29 by Pall published in 2016 detail how, when VGCCs are activated in the brain, they release neurotransmitters and neuroendocrine hormones. Hence, consequences of chronic EMF exposure to the brain also include anxiety, depression, autism and Alzheimer’s.